Engaged couples have a lot of decisions to make when planning their wedding. After the big choices like the date, venue, and the guest list are made, your next step is selecting your entertainment – the people who will set the tone for your wedding day and make sure your guests are having a great time. It's easy to treat wedding entertainment as a throwaway decision, but the quality of your DJ can make or break your reception. A good DJ and MC team keeps the event flowing seamlessly with a great playlist and an upbeat atmosphere; guests can't help but get up and dance. A mediocre team can barely keep people on the dance floor, and when wedding guests are more interested in their conversations than the music, the MC's announcements feel like an annoying interruption. That's why it's crucial to hire a reputable company that can deliver the wedding experience you want for yourselves and your guests. 1. How responsive, communicative and focused are they? Some DJs provide entertainment services as a side gig, while others make it their full-time job. It's best to go with a vendor whose time is devoted to their business, so you can be sure that they'll respond to you in a timely manner when you have questions. How long did it take them to get back to you when you requested a quote? If they left you waiting for more than a few days, they may show the same level of communication throughout the process, which doesn't bode well for any last-minute plan changes that may arise. Look for a company that makes its clients a priority and responds to emails and phone calls within one or two business days. 2. What is their planning process like? If you've hired a DJ for a past event, you know how much granular detail goes into planning your music and announcements. Every DJ will ask you for a list of preferred genres, special requests and "do not play" songs to make sure they're playing what you want to hear, but consider their process for collecting that information. Do they scribble notes on a piece of paper during your consultation? Ask you for an emailed list before your wedding date? Provide a centralized online platform to track everything as you plan? Organization is key, and should be your DJ's top priority when helping you select your music. The vendor you choose should also provide guidance in terms of announcements, wedding traditions (parent dances, bouquet toss, etc.) and overall event timeline. 3. Do they understand our wedding details and timeline? No two weddings are exactly alike, and it's important to find a vendor that understands every detail of your wedding day, from your ceremony and reception entrance, to your last dance of the night. 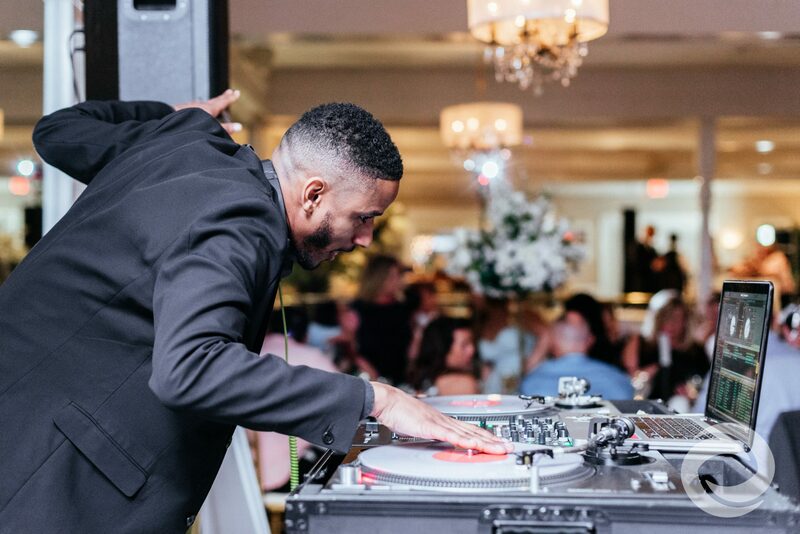 The more experience your wedding DJ company has, the more likely it is that they'll be able to stick to your plan and keep things on schedule throughout the event. Your MC should also go over the people involved in your wedding, including their role (mother of the bride, maid of honor, best man, etc. ), name pronunciations, and any special music you want played for each person. 4. What types of payment plans and methods do they offer? In terms of cost, wedding entertainment is right up there with photography and videography, so it's important to understand the payment structure your wedding DJ offers. The best companies allow you to pay in installments after your initial deposit, and accept a variety of payment methods, including credit cards and PayPal. 5. How confident do we feel that this company will make our wedding day special? Whenever you meet or speak with your wedding DJ, you should feel like you're receiving white-glove service. Do they know who you are when you call, or do you have to remind them of your name and wedding date? Are they making helpful suggestions to you and your fiancé when you're stuck on a decision? Do you feel like they're trying to shoehorn you into another cookie-cutter wedding, or do they approach your big day like it's the only one they're focused on? If your DJ makes you feel special and unique during the planning process, it's a safe bet that they'll bring that same energy to your wedding. With more than a decade of providing wedding sound and entertainment services to tri-state area couples, Hurricane Productions takes its role as a professional wedding entertainment company very seriously. We understand that each couple is different, so we'll work with you on a customized plan to create an unforgettable event. Our secure online planning and payment portal allow you to build and pay for your dream wedding entertainment experience at your convenience, and our full-time dedicated support staff is there to help you every step of the way. To learn more about our wedding packages, including photography and videography services, visit our pricing page.